I was faced with a trying situation at bedtime the other day. It was a highly volatile situation that could have so easily spiralled out of control. Thanks to my Vow of Yellibacy, it did not. Taking it a step forward, I think it is time to add another very useful arrow to my parenting quiver. This is where I choose my battles. The infant stage is the honeymoon period of parenting. Despite the sleepless nights, dirty nappies and constant feeding, you are so enamoured by your baby that they can do no wrong in your eyes. To be honest, at that age they really do not, cannot do much wrong. Then come the terrible twos and battle lines are drawn. Once that happens, it is easy to get sucked into the vortex of dominant parenting. One where you expect your child to listen to everything you say and do exactly as they are told. Do this, don't do that, eat this, not that and so on. Before you know it, you have a rebellious teen on your hands. I have been rethinking my parenting strategy over the last few days and have realised one very important thing. 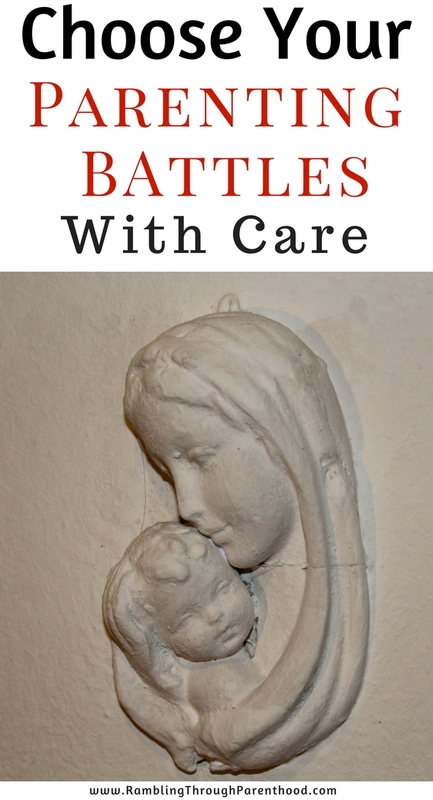 If I am to keep my son's respect and trust as he is growing up, I have to choose my battles with care, starting now. The focus has to be on setting reasonable limits with understanding and compassion. Would I like being bossed around in my own house? No. Then why do I expect my child to? Wouldn't it be better if everything was clearly explained at the outset, so everyone knows what is expected of them? It will undoubtedly save a lot of tears and tantrums come crunch time. So, he can have a run of the place as long as we both know what is happening and when. He can watch TV, but we limit the time. He can snack after dinner, but we offer a mix of healthy snacks and junk food. He can be boisterous as long as we adhere to bedtime. He can spend hours getting ready for school in the morning, as long as we make it there on time. Children, I have come to realise, are smarter than we give them credit for. Give them responsibility, explain clearly and politely what is expected of them, and they will, more often than not, see the task through. It is also an excellent way to build their self-esteem and confidence. How do I know? Because one day, a few months ago, I did not once ask my son to hurry up or risk getting late for school. I showed him the clock and explained that to reach school on time, we had to leave home before the big hand reached six. If we did not, we would be late. He sat playing for a while and then decided to get dressed of his own accord. Trouble is, I relapsed into nagging mode. Not any more. As I've said, I will be choosing my battles. I will intervene based on the gravity of the situation. The frivolous little things will be overlooked in favour of more important issues that truly require parental intervention. Parenthood is an evolving phenomenon. You continue to grow as a parent, you learn and then you learn some more. I have learnt an invaluable lesson when it comes to parenting. The more you nag, the more the child rebels. Boundaries are best set with a dose of laughter. 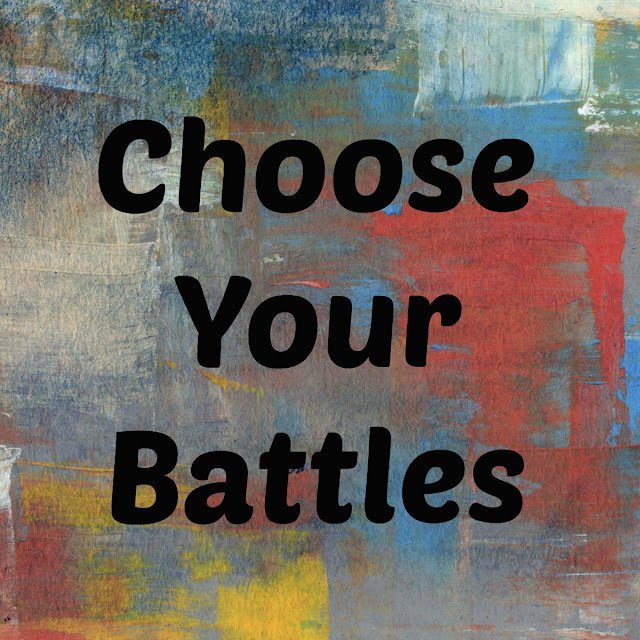 Choose your battles with care and consideration. It is the only way you will become and remain your child's friend for life. I absolutely live by that motto - I pick my battles over the things that are most important and then stick to my guns! This has always been one of my moto which I still have to keep coming back too. I geel so sorry for my eldest son as he really is my practice child and am so much better and understanding and picking my battles with my youngest than I ever was with him. Definitely! Sometimes you don't, hear your own voice and think "oh, shut up"! Let some things slide otherwise your kids will just think you tell at everything! I am definitely guilty of nagging too much - I love the idea of just letting them know what time we need to leave by and then leaving it in their hands! I'm definitely a nagger... and my 4 year old gets very frustrated with it! I think, instead of lounging around in bed in the mornings, we should just get up and start the day - then he might be a bit happier to get on with things and in plenty of time!